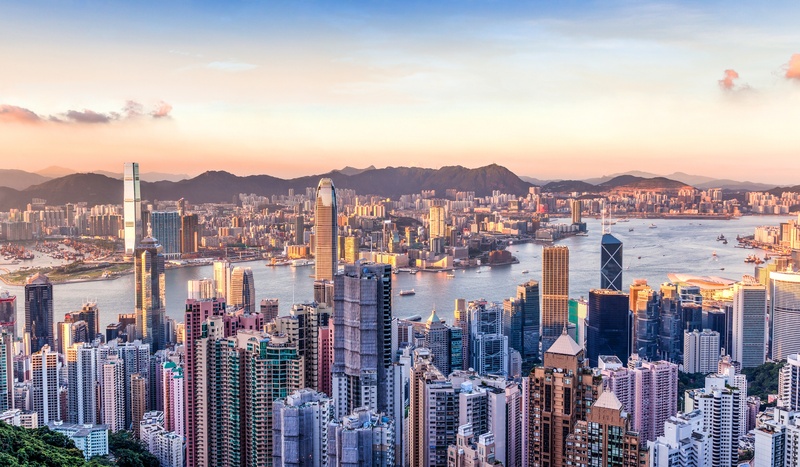 Hong Kong is one of the world’s most vibrant cities. With a limited land mass on the Kowloon Peninsula, Hong Kong Island and the hundreds of other islands, Hong Kong is a city of vertical development and density. It is the fourth most densely populated city in the world with over 7.4 million people. Hong Kong is also one of the world’s hottest property markets and the least affordable housing market in the world. The government proposed a controversial tax this past summer in a move to address lack of supply. Living space is extremely limited, and almost everyone lives in high rise residential flats. Many of these flats are part of large developments. You can expect to find box sized apartments, with an average space of 50 square meters. Many such apartments have views of other buildings. With the small living spaces, it’s no wonder that families are close, and that people spend most of their time outside of their homes. Hong Kong has one of the greatest public transit systems in the world. There is the MTR subway, ferries, trams, and buses. Hong Kong also boasts the longest outdoor escalator system in the world, with mid-level escalators that bring people down to work from their residences. The population of Hong Kong is increasingly dissatisfied with how unaffordable the housing market is. 77% are dissatisfied with crowded conditions. Young people are especially frustrated and feel that they cannot break into the housing market. With years of price increases, there is no sign that the property market will cool. The combination of high density, limited land supply, demand from mainland Chinese buyers, and years of low-interest rates mean that prices skyrocket as high as Hong Kong’s skyscrapers. That’s why the government is proposing a new tax on vacant apartments. In theory, this would increase supply by motivating developers to sell instead of waiting for prices to increase. However, developers oppose this move, saying that an increase in land supply is what will address supply, not a punitive tax. Experts doubt whether this tax will actually be effective, and some say it could merely be a political move to increase favor for local official Chief Executive Carrie Lam, who is in her first year. A similar tax was effective in Singapore and Vancouver, but experts say that it will not have the same impact in Hong Kong. The government has acknowledged that land supply is a problem. There is a new task force to address the issue, and they have put forth measures such as turning a golf course into 13,200 new apartments. Higher interest rates could also have an impact and slow the market down. Subduing Hong Kong’s property prices is one of the biggest challenges that the government faces. There is a chronic undersupply of homes, and there has been more than a 50% price increase over the past five years. With a market so extreme, something has to be done for Hong Kongers to be able to remain in their city.